Online Organic Chemistry II: CHEM 1021 is a one-semester online organic chemistry course designed for individuals who need a second semester organic chemistry course as a prerequisite to apply for admission to a health professions program. The goals of this online organic chemistry course are divided into two major topics: The first goal is to introduce the student to important laboratory techniques and concepts covered on most professional entrance exams. These include separation and purification techniques and an introductory to spectroscopy. This will make up the first six modules of the course and will include one laboratory assignment. The second goal is to give the student interested in the health professions an introduction to the organic chemistry of important biological pathways that the student will encounter in their professional studies. The subjects include biochemistry, molecular genetics, and metabolism. This will make up the remaining eight modules and will include seven laboratory assignments. Click here for the syllabus for online CHEM 1021. Since this is the second of two semesters in this series, it will be assumed that the student taking this course has a good understanding of the different functional groups in organic chemistry and of the different reactions these functional groups undergo. Organic Chemistry II is designed for the student to take the lecture (CHEM1021) and lab (CHEM1021L) concurrently in order to earn four credits. For the full four credits, you must register for both CHEM1021 and CHEM1021L. For students who only need a specific portion of Organic Chemistry II, however, you have the option to take lecture only (CHEM1021 three credits) or lab only (CHEM1021L one credit). 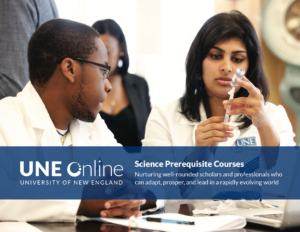 Click here to learn more about the laboratories that accompany Online Organic Chemistry II. Working at the pace typical for a four semester hour course, the average student will complete this online organic chemistry course in approximately 16 weeks. Many students are nontraditional students who have elected an online course for flexibility. Since the course is self-paced, you may complete the course in fewer than 16 weeks. CHEM 1020 and CHEM 1020L must be completed before registering for this course. All prerequisite courses must have been completed successfully within the past seven years. To learn more about the technical requirements for this and other Post-Baccalaureate courses, click here. This supplement contains chapter 13 taken from Organic Chemistry 9th Edition by Francis A. Carey. Used with permission of McGraw-Hill Publishers. Please note that the digital version of the book is not permitted for use during proctored exams. All exams are taken online. Major exams are required to be proctored. For instructions on how to take your exams online, visit Online Learning's ProctorU site. Can't find what you are looking for? Suggest a course.